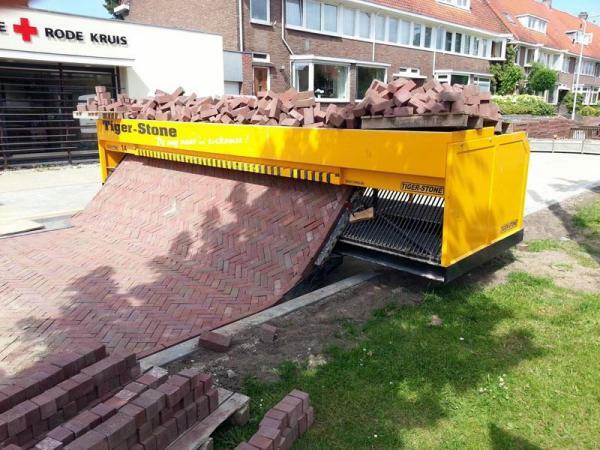 This new paving machine is amazing. It lays pavers on a prepared sub-base in a continuous strip with the pattern in concrete or brick pavers already set. This will save time and money and revolutionize path and trail construction when pavers are involved. It does not matter if you are installing brick pavers or concrete pavers, either one will work in this amazing paving equipment.